This is fabulous, such an adorable fox and lots of brilliant details. Wow, Wow, Alice! Could this fox be any cuter?! Congratulations on your win! You have made good use of it! Fall is my favourite season so I think this is awesome! 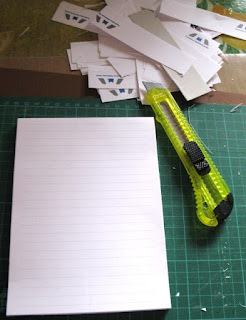 What a lovely gift you have made - I love to read about how you have recycled items like the notebook - brilliant idea to cut off the logo! I love everything about this project! Your colouring is beautiful! Your fussy-cutting is perfect! I love the giant leaf, smaller leaves, owl, flower, everything! Whoever receives this will cherish it! How absolutely adorable! Oh goodness how cute is that fox?! What a great notebook - it will make the perfect little gift. 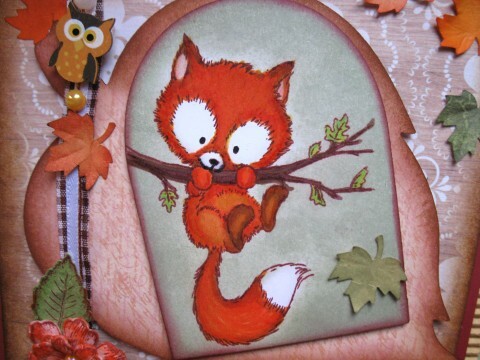 You always come up with the most clever and unique hand-made gifts, and this fox is just adorable hanging on that branch! 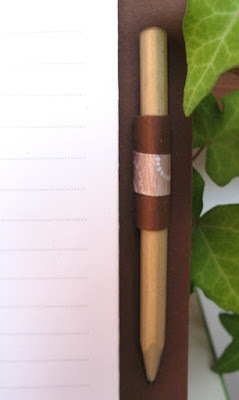 I love the die cut and how you sponged the color on it, and the notebook is one fantastic little gift! I love it! Molto bello, Alice! Bei colori caldi e dettagli curati. Il timbro mi piace molto, sia il disegno sia i colori che hai usato per il bordo e per l'interno. La vostra carta è bella, mi piace Volpi e il design è bello e il colore dei fiori. 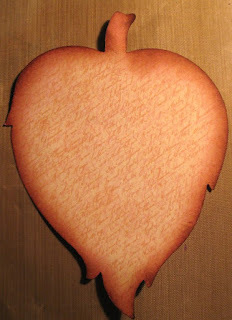 Vi ringrazia per aver condiviso con noi a Stamping Sensations sfida. Wow, Alice....this is fabulous! 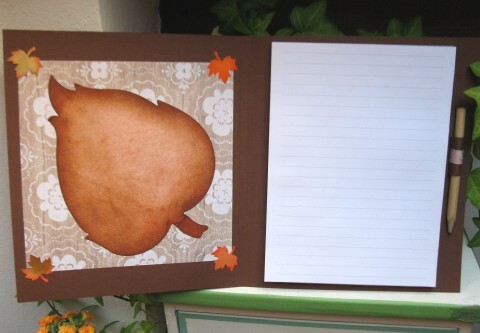 I love Autumn & I love notebooks so this is perfect.....and corrugated card too! Brilliant! 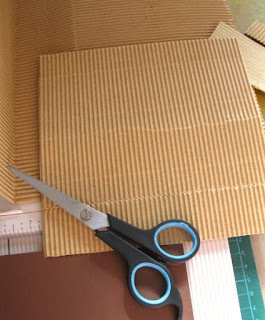 Another beautiful make from you Alice - someone is going to totally adore this notebook! 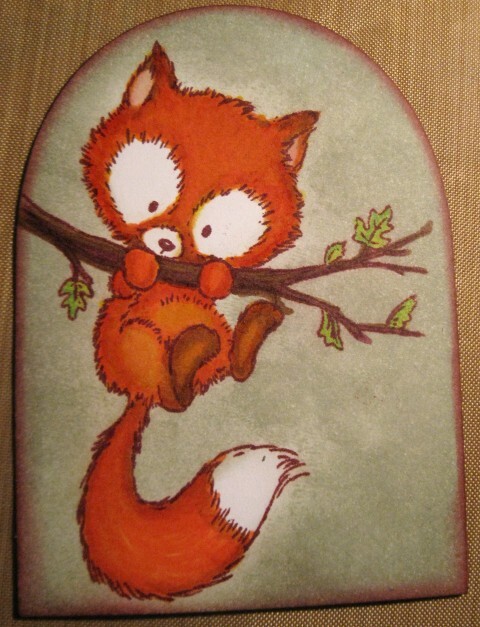 Such a lovely result with the cutest fox ever - and your colouring is perfect! An adorable creations Alice, a lovely design with gorgeous colours...........you image is just adorable, beautifully coloured and fabulous details!! Such a lovely notebook, you've made great use of your lovely prize! I love the little fox! Brilliant re-cycling! 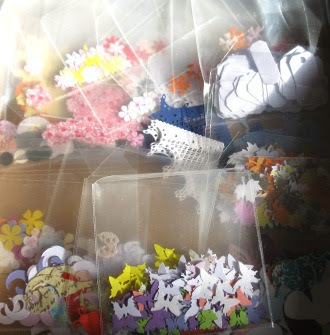 Thanks for joining us at Crafty Calendar this month. A gorgeous make, love the cute fox. 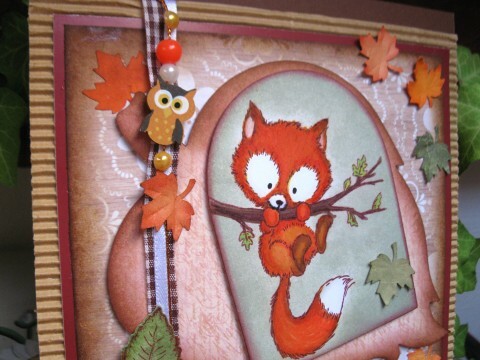 What an adorable notebook - love that sweet fox and the little owl! Aw, how darling! 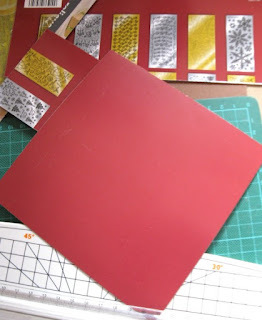 And I learnt something new, stamping with colored DI, I always tend to use black or dark grey ink myself. Can absolutely NOT spot any error on your coloring, you did great. Congratulations on your win! You've put your prize to very good use. I adore the little fox. She's so cute. I also like that your card is "fora da estação"... nice and warm! Love the look on the fox's face. She is so cute. 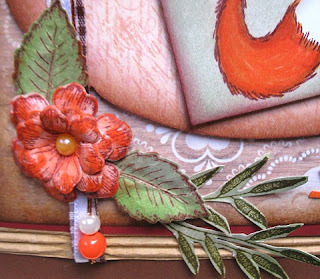 Thanks for playing along Simon Says Stamp Create with Critter challenge! Oh my goodness! will you just look at the expression on that cute fox's face. I'm in love!!!! Hugs Mrs A. Beautiful creation.Love the cute fox and the tiny owl. 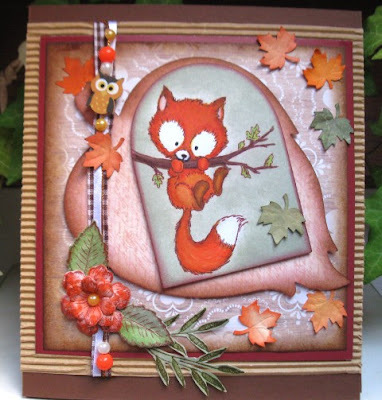 Congrats on your win...love your gorgeous make, adorable fox! fabulous work. Very cute project, love the big leaf. Thanks for joining us at Stamping Sensations. Such a sweet card, Alice! Thank you for joining us at the Noor! 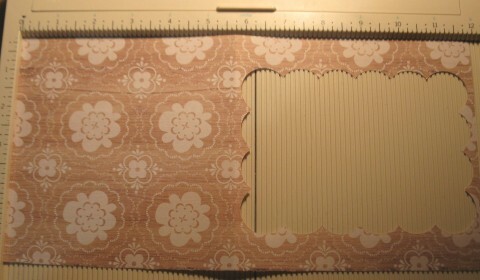 Design UK challenge with it. We hope to see you joining us again next month and wish you luck for the prize drawing. Hi, I just popped back to say thank you for joining us at Craftyhazelnut's Patterned Paper Challenge. Such an adoooorable little fox! This guy just stole my heart. I really like the beaded owl string you added, too! Gorgeous - love all the details you've added. Ho visto che ti è piaciuta l'idea di Betta per fare il punto della situazione del 2016 in 6 post. Ti va di partecipare? Se sì ti invito con piacere! Tu sì che hai da raccontare! Ma che carina questa volpeeee :-))) dolcissima. Adoro l'autunno come tema, i colori e le figlie...bellissimo progetto. Brava!